Music Charts Magazine® welcomes Judith Burnette and her radio show “Blue Ridge Backroads” for joining us for our 4th consecutive year celebrating International Bluegrass month of May 2015. 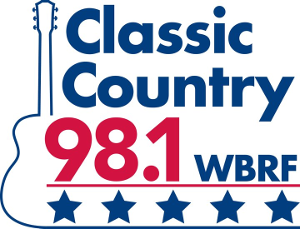 With 100,000 watts and a transmitter facility located more than 3,500 feet above sea level, WBRF reaches much of Virginia and North Carolina, as well as portions of West Virginia and Tennessee. Included in the coverage area are the densely populated Roanoke and New River Valleys of Virginia, and The Piedmont Triad of North Carolina. Judith Burnette is a native of Galax, VA. In addition to her job as host of the Blue Ridge Backroads show, Judith works full time in Retail Sales. Judith worked part time for Classic Country 98 for more than a decade before becoming the Host of the Blue Ridge Backroads Show. She’s on the air each Tuesday through Saturday evening from 6 till Midnight. In the three years Judith has been hosting, the Blue Ridge Backroads, she has earned 3 nominations for Bluegrass DJ of the Year from SPBGMA. Judith‘s favorite part of hosting the Blue Ridge Backroads Show is the on air visits with the Bluegrass Artists and the friends she’s made along the way. Judith‘s vast knowledge of Bluegrass Music, both it’s history and current state makes hosting the show a breeze. Judith loves photography and enjoys photographing her favorite bands, both on stage and off.